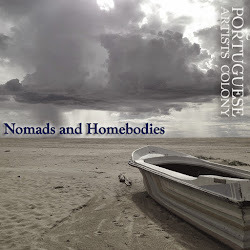 Portuguese Artists Colony: Damage and Book Launch! 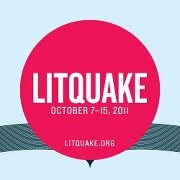 On Saturday, October 15, Portuguese Artists Colony will bring damage to Litquake's infamous Lit Crawl. We are thrilled to be part of Litquake for the second year running, and our gratitude hurts. We say thank you with scars and breakage; it's not a party without torn dresses and mascara-streaked faces. Louise Nayer, San Francisco author and educator, has written poetry, non-fiction and recently, Burned: A Memoir, about a tragic Cape Cod accident and family resilience. Plus! Readings from colonists Daniel Heath, Leslie Ingham, Caitlin Myer, and Cary Tennis. Will the cocktails break your heart? Will the ice cream make you call your mother? Reviews are plentiful. Menus can be found online. But there is more to dining than what arrives on the plate. 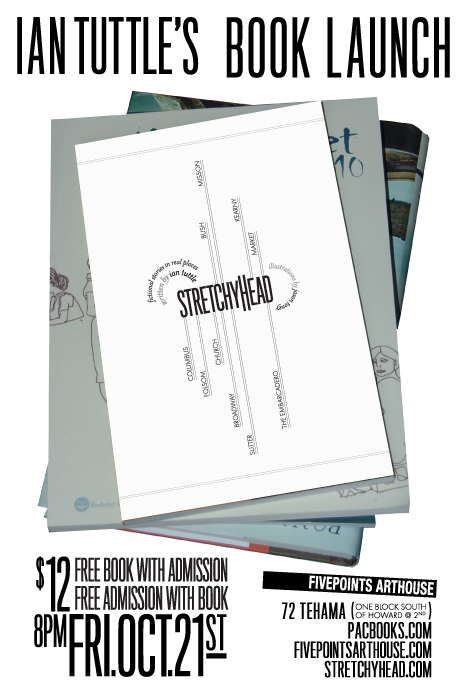 StretchyHead brings you exquisite moments from fictional lives, inspired by the real places in which they are set. 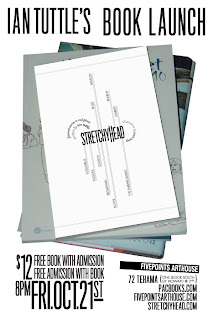 Join us for a good old fashioned book launch party with music and more!